Dominion? Not sure I would classify MtG as an “engine builder”. You can build “machine” decks, but of course that doesn’t happen during the course of play, and anyway they tend to get owned by simpler decks. Fair enough, regarding Magic. I tend to play decks, if I can, that accelerate mana and have creatures that can pump other creature, but when you say it, and when I sit back and think about it, Magic engines are not nearly at the level of good board games. TFM, Nippon, Concordia, Roads & Boats (unplayable for many), La Granja, Zhanguo, Manhattan Project: Energy Empire, London, Tyrants of the Underdark, Sidereal Confluence (much more about trading and negotiation, but still amazing), Brewcrafters, Food Chain Magnate, the list goes on. I really enjoy Tyrants of the Underdark. Nothing new under the hood, but steals good bits from lots of other games and mixes them well. I love Tyrants of the Underdark. So good. Other engine-builders, I played two of them yesterday! Ah yes, 51st State reminds me that I enjoy Imperial Settler. Right now I’m torn between more IS expansions and 51st State. I’m a big Neuroshima Hex fan, so I like the 51st State theming, but it would probably make more sense for me to expand the game I have rather than buy a second game very similar to one I own. I ended trading away IS last year just because I never got it played. I do have to say 51st State seems a lot better. @whovian223 I played Newton for the first time over the weekend.It was fine but suffered because I also had a first play of another engine-builder Coimbra. I felt that Coimbra was superior in being more compact and offering more player interaction than Newton. We also played Space Base which we know you love. It was 3 player and great but I probably prefer it with four players (not tried five). I’m with you on Space Base. It shines at four but plays very well at 3. Five works too, though not quite as great. I’ve never played Coimbra! I would love to, though. I’ve heard so many good things about it. I’ve also yet to try Forum Trajanum. It’s another one on my list. It looks like there’s lots of stuff to do, but I guess that’s par for the course with Feld. My group has our annual ‘gaming in the woods’ weekend in a couple weeks and I already have Arkwright on the stack, ready to teach. Glad to hear it went over well. 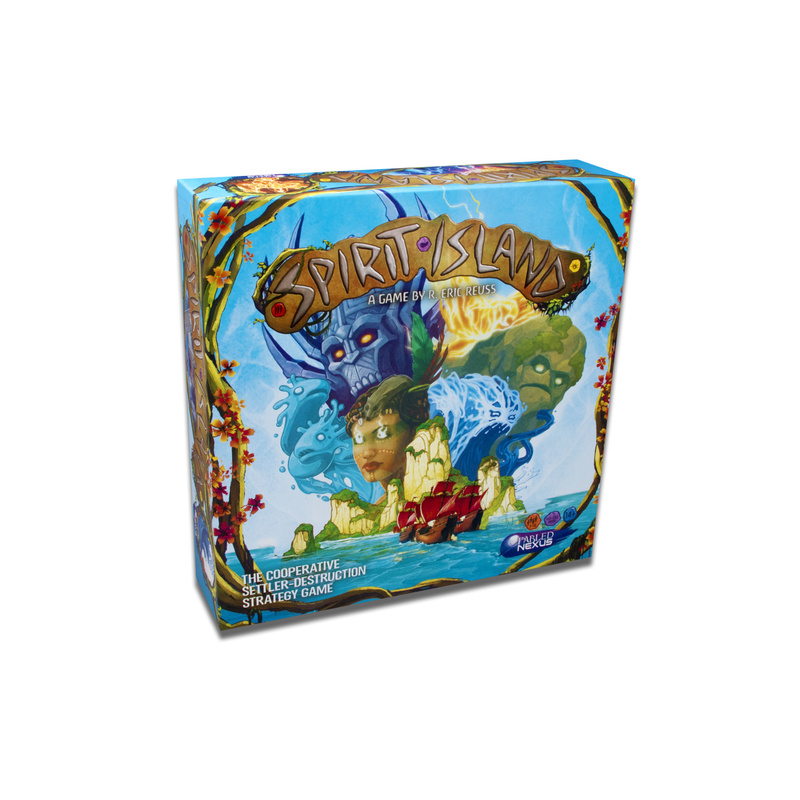 I also took delivery of a game called Spirit Island. I’m desperate to set up such an event with a couple friends. Hope it goes well for you. Is this something we knew about and I had forgotten, or is this breaking news? All I remember (and that’s sketchy at best) is that Handelabra is working on Aeon’s End (possibly…again, that sketchy memory thing). Aeon’s End is definitely coming from them. I backed the Kickstarter. Spirit Island was part of the broad “Handelabra is working on these games” news that came out a couple of months ago. I forget which other ones were in that list, but most of them were exciting. Is this something we knew about and I had forgotten, or is this breaking news? I can’t remember 8 hours ago, let alone 8 months ago. I’m shocked that I remembered it as well…then again, I bought the game because of this news and, like everything else I’ve bought the last 2 years, it sits in my basement still unplayed. The best game about IRA shotguns is coming back, in case anyone was unaware and wanted a title in the Chicago Express vein. I have yet to do the train game thing outside of Ticket to Ride or Steam on iOS. This one looks very nice, though, and has piqued my interest. However, I am into quick lunchtime strategy games that pack a tactical punch, so I reviewed Dual Powers: Revolution 1917 yesterday.